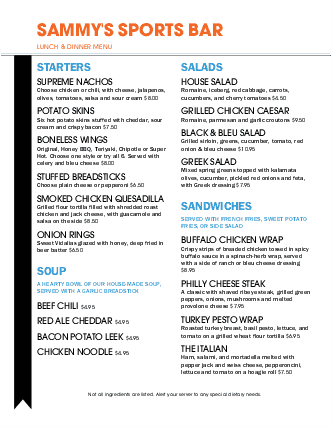 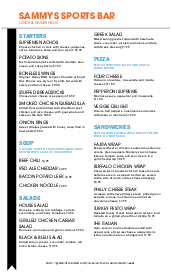 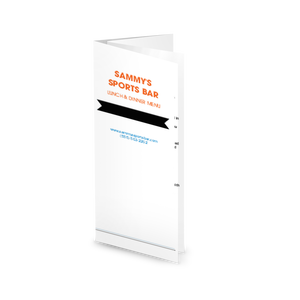 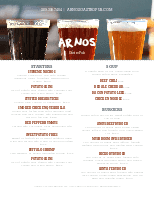 A bar menu in the Sports Grill design collection featuring colorful fonts in orange, blue and black with small flag accents. 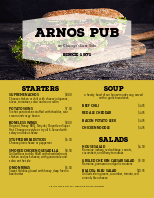 The menu title displays in a vertical black banner along one side. 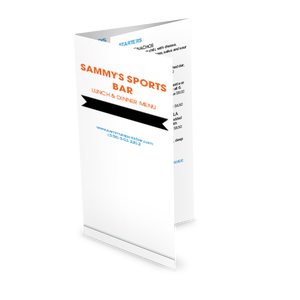 Cocktails, wine, beer, or other bar specials are listed in a single column. 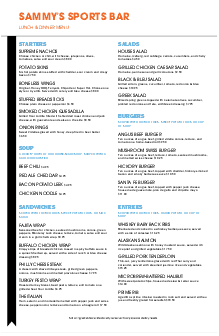 This letter-size menu can be updated using the Menu Editor.